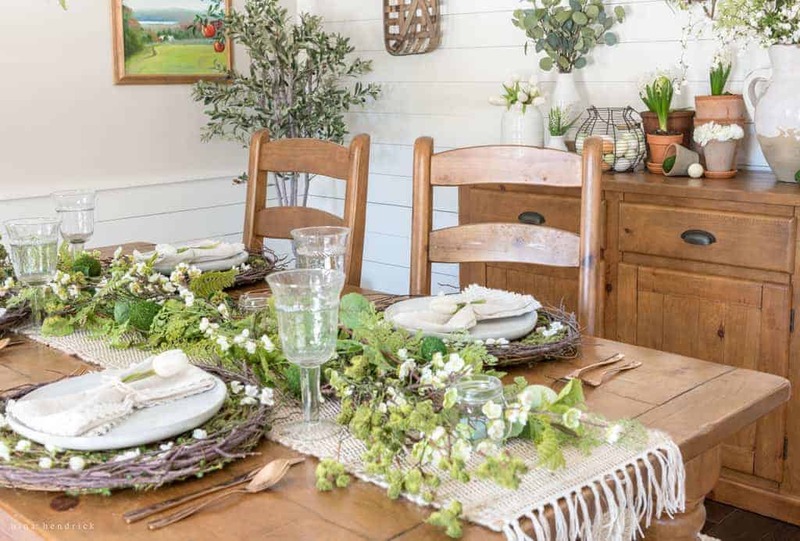 Natural Spring Tablescape | Nina Hendrick Design Co.
Natural Spring Tablescape | Recreate this natural spring tablescape and dining room vignette for Easter using ferns, moss, eggs, flowers, and flowering branches! 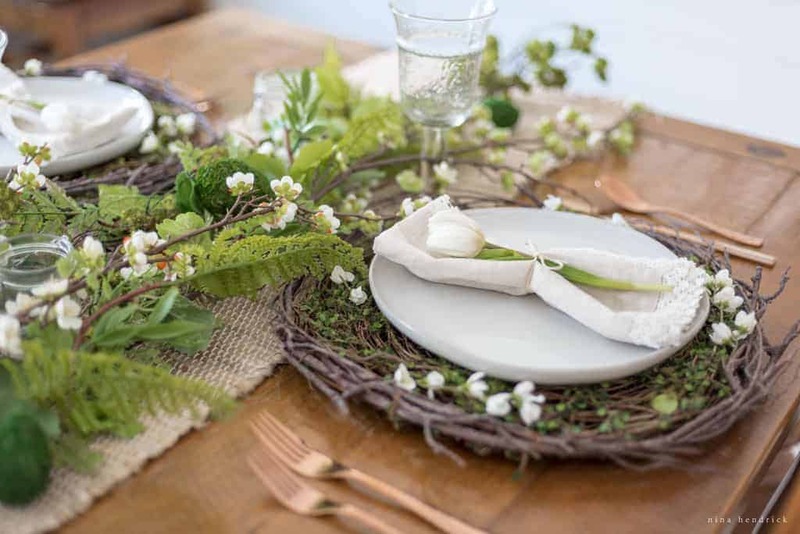 I have to say, this natural spring tablescape was one of the most fun I’ve ever put together. 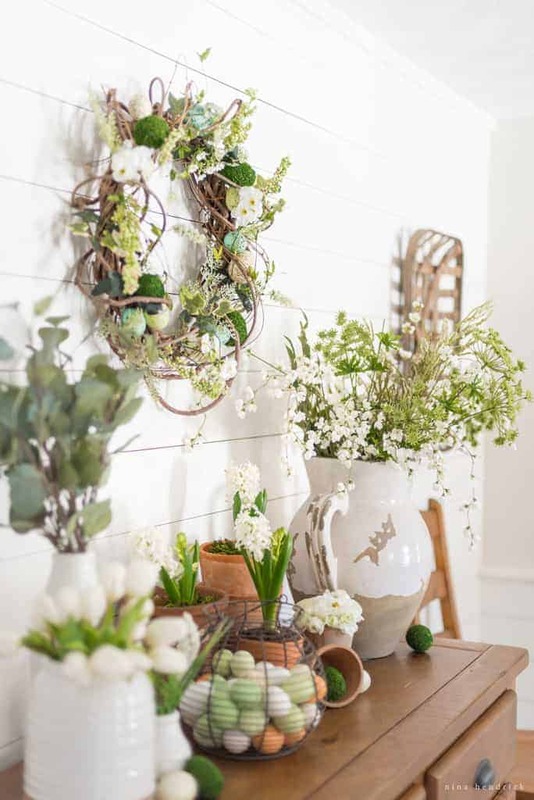 I love to decorate for spring! When my friend Alicia asked me to join her in posting a tablescape today, I jumped at the chance. 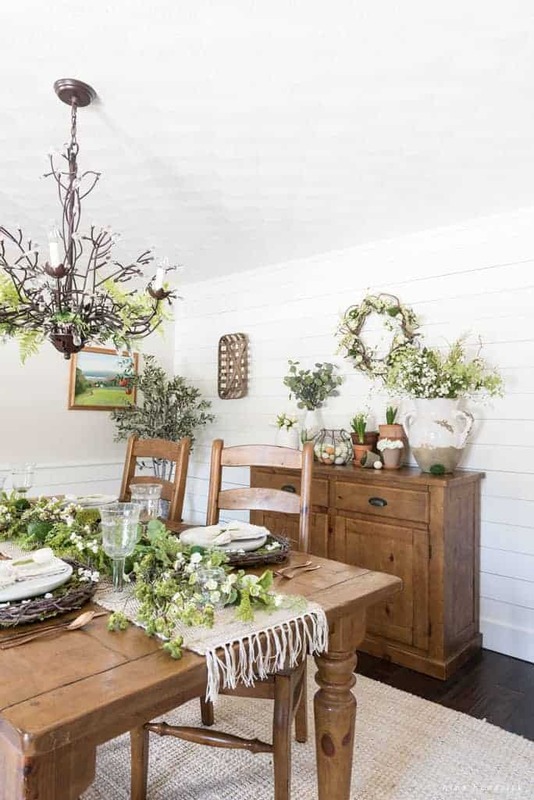 I put together both a tablescape and a potting shed inspired vignette on the buffet. I really focused on natural greenery- ferns, moss, twigs and flowering branches. I even tucked some faux ferns into our branch chandelier. 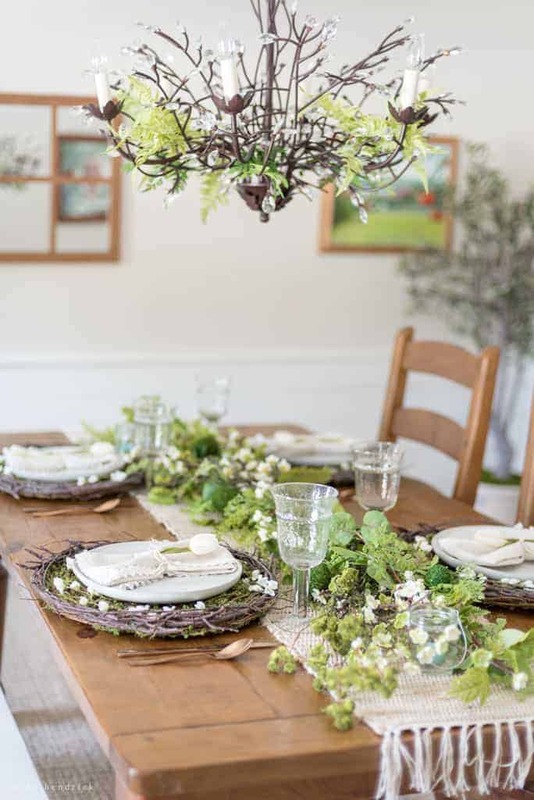 I love how wild but classy the light fixture is, and it is always fun to come up with new seasonal ideas for it! I was so excited to find these twig chargers here. 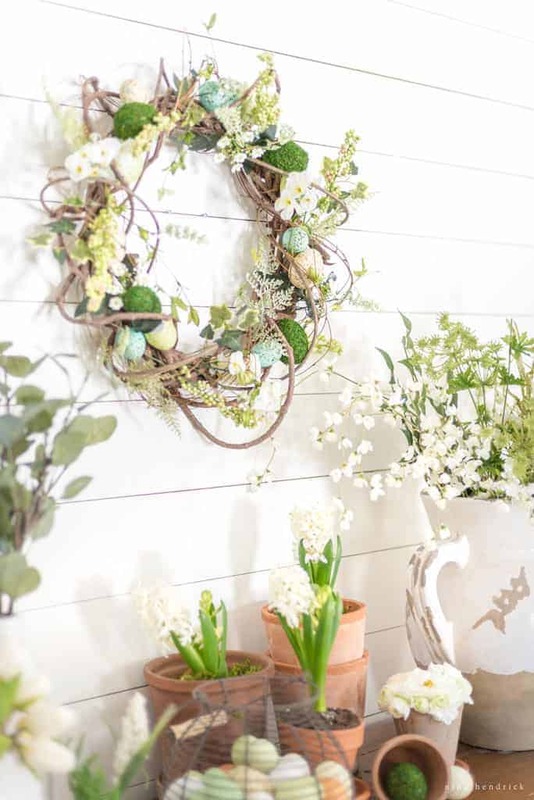 I’d been planning to visit the craft store to try to create something similar with grapevine wreaths, but when I found them already made, the time savings was worth it. I clipped some flowers off of faux flowering branches to add a little whimsy. 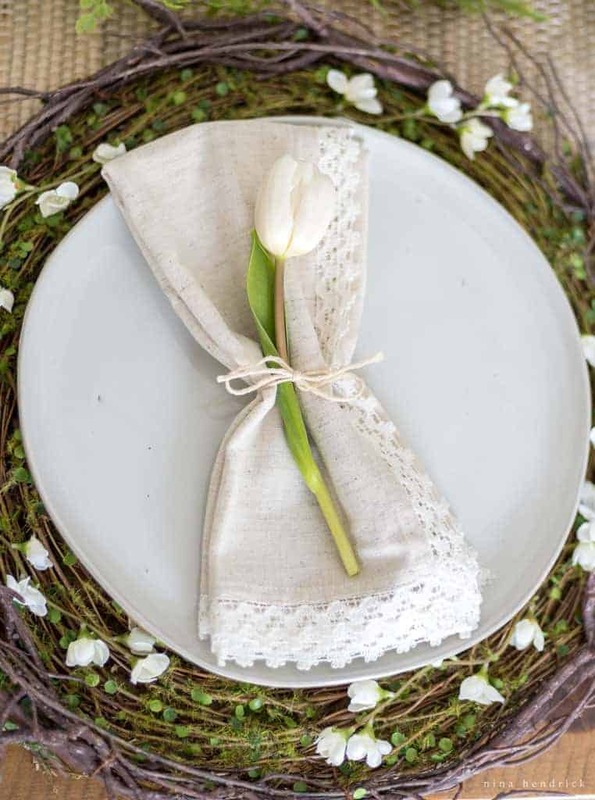 I tied my favorite chambray and lace napkins with a simple piece of twine and a fresh tulip. The stoneware plates are a recent addition, available here. 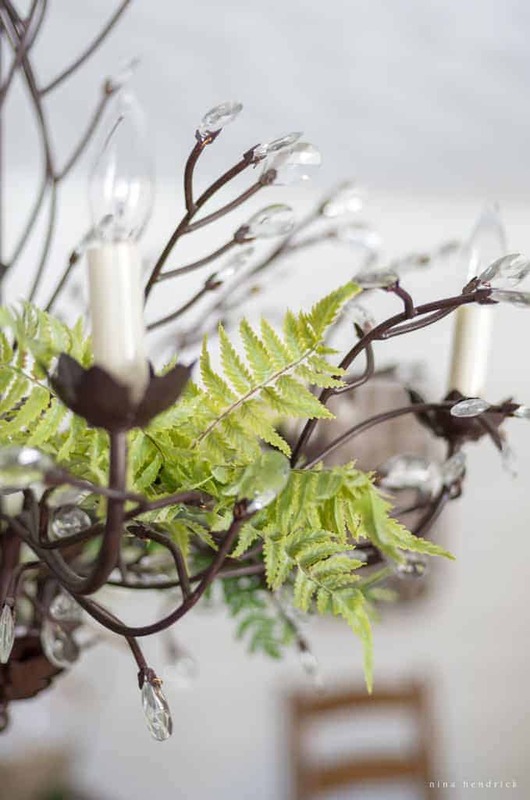 The centerpiece is made up of a couple of fern swags interwoven with cherry blossom branches and moss covered branches. There are a few little moss and speckled eggs hidden throughout, as well as some lanterns. 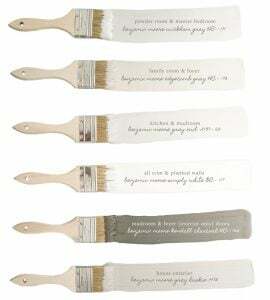 I chose to use my rose gold flatware since it played off of the warm terra cotta pots in the vignette. 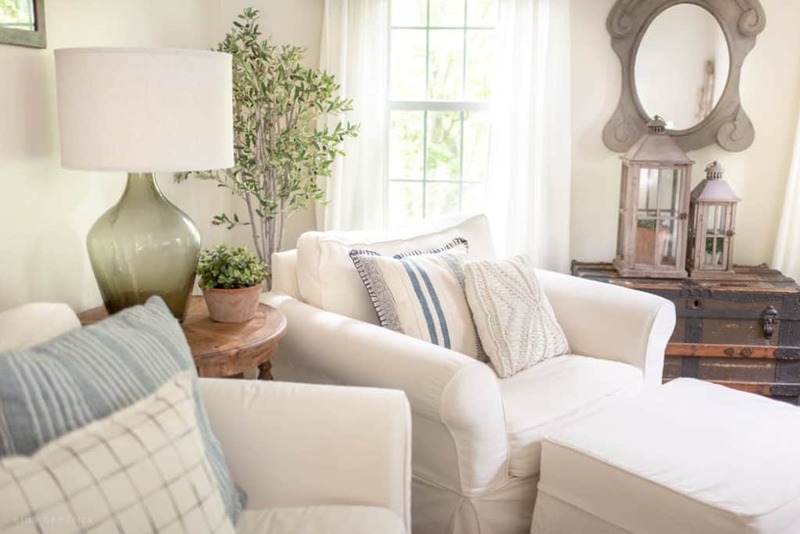 The second part of this space is the vignette I put together- there’s a lot of little details to this space as well. I really enjoy creating little spots to look at that evoke the feeling of the season. I filled my tuscan urn with various flowering branches. 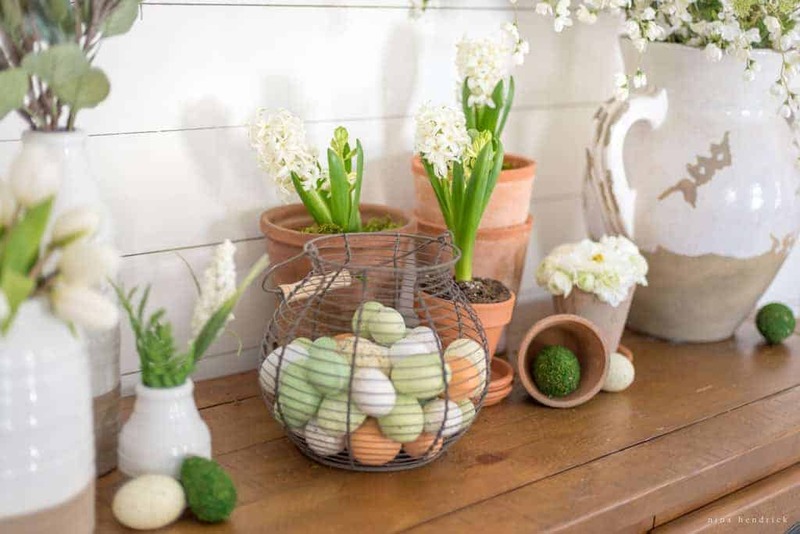 The rustic pots are filled with fresh hyacinths from Whole Foods (their flowers are gorgeous!). The wreath is available here. I can see myself using it again and again as the years pass, it’s an Easter classic. 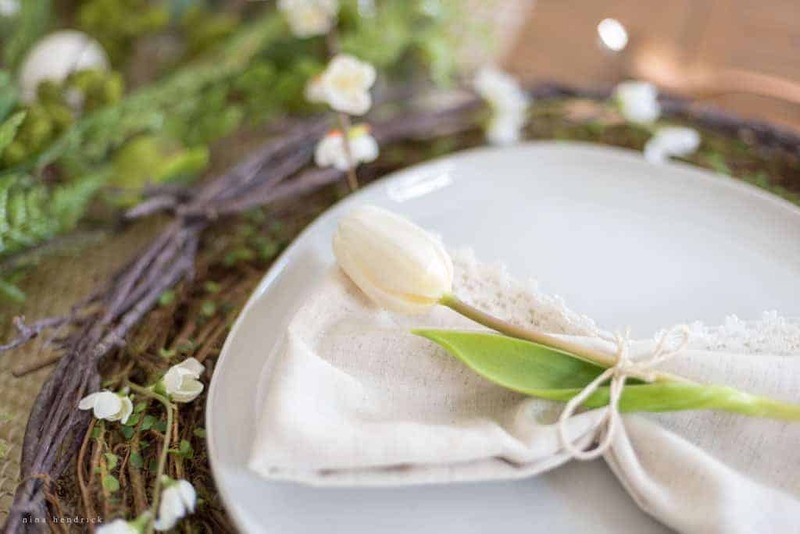 I hope you enjoyed looking at this fresh and natural spring tablescape and vignette! 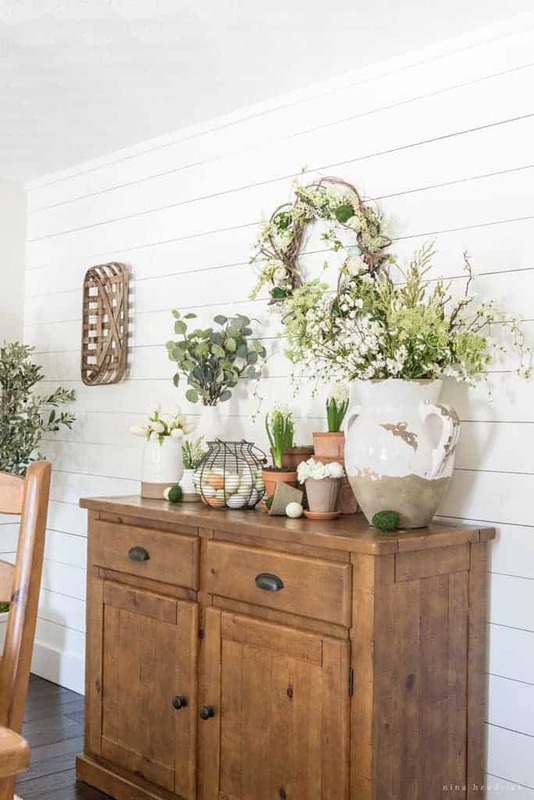 There’s more spring decor to come. Before then, please stop by and visit my friends sharing today! This is so lovely! It’s light and airy. Just beautiful!